Phoebe Edith Cannell was born on 17 April 1872 in Allens Creek, South Australia , daughter of Thomas Rackham Cannell and Mary Haines. Amy Blanche Cannell was born on 5 April 1874 in Allens Creek, South Australia , daughter of Thomas Rackham Cannell and Mary Haines. She died about 1955, in Coburg, Victoria, Australia . Annie Jane Cannell was born on 29 September 1876 in near Kapunda, South Australia , daughter of Thomas Rackham Cannell and Mary Haines. She died on Saturday, 29 February 1964, aged 87 years and 5 months, in Perth, Western Australia . 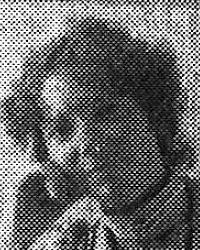 Alicia May Cannell was born on 3 May 1879 in near Kapunda, South Australia , daughter of Thomas Rackham Cannell and Mary Haines. She died on Thursday, 23 January 1969, aged 89 years, 8 months and 20 days, in Warragul, Victoria, Australia . On 4 May 1887, Joseph, aged 22, married Florence Elizabeth Cannell, aged 23, daughter of Thomas Rackham Cannell and Mary Haines, in Weslyan Church in Auburn, South Australia . 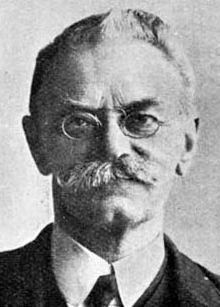 Thomas Wiltshire was born on 10 May 1842 in Tredegar, Monmouthshire, Wales , son of William Wiltshire and Esther Burrows. On 16 June 1863, Thomas, aged 21, married Mary Thomas, daughter of Nicholas Thomas, in Callington, South Australia . Thomas was buried on 6 April 1920 in the Clare, South Australia . Mary Thomas was born about 1840, daughter of Nicholas Thomas. On 16 June 1863, Mary, married Thomas Wiltshire, aged 21, son of William Wiltshire and Esther Burrows, in Callington, South Australia . She died on Sunday, 28 November 1909, in Blyth, South Australia . Florence Millicent Wiltshire was born on 3 February 1888 in Hoyleton, South Australia , daughter of Joseph William Wiltshire and Florence Elizabeth Cannell. On 16 March 1912, Florence, aged 24, married Ernest William Reeves, aged 21, son of John George Reeves, in Methodist Church in McLaren Vale, South Australia . Joseph Lewis Wiltshire was born on 20 April 1890 in Hoyleton, South Australia , son of Joseph William Wiltshire and Florence Elizabeth Cannell. On 3 May 1913, Joseph, aged 23, married Elsie Hunt, aged 25, daughter of George Hunt and Sarah Hannah Turner, in Methodist Church in McLaren Vale, South Australia . 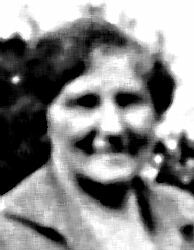 Mary Gertrude Wiltshire was born on 22 February 1893 in Hoyleton, South Australia , daughter of Joseph William Wiltshire and Florence Elizabeth Cannell.